President Jacob Zuma has fired Finance Minister Pravin Gordhan in his biggest Cabinet reshuffle yet since assuming office in 2009. 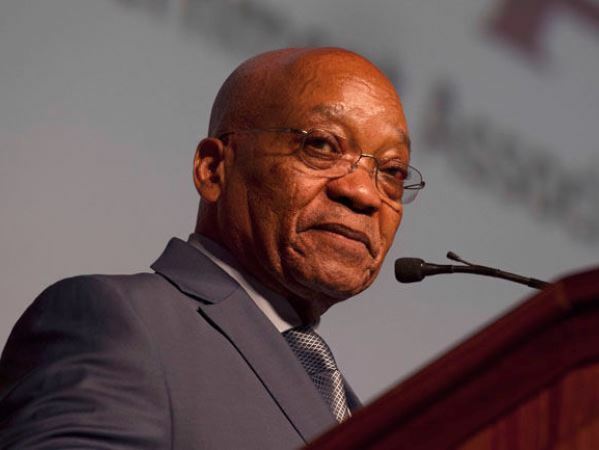 In a brutal display of power, the president fired five ministers, including former tourism minister Derek Hanekom, who asked for Zuma to be recalled last year. He also appointed six new deputy ministers. Zuma now faces a revolt in his own party, with senior ANC leaders opposing his dramatic cuts to the executive authority. Former Cosatu leader Zwelinzima Vavi has called for a peaceful march to National Treasury in Pretoria on Friday at 10:00. Zuma has replaced Gordhan with Malusi Gigaba, the former home affairs minister, ANC Youth League leader and known Zuma loyalist. ANC MP Sfiso Buthelezi replaces Mcebisi Jonas as deputy finance minister. Buthelezi was advisor to Zuma during his years as MEC in KwaZulu-Natal, and former chairperson of the embattled Prasa. Zuma axed Gordhan and Jonas, despite opposition from his party and alliance partners Cosatu and the SACP. This week Zuma recalled Gordhan from an investor roadshow in London, stoking speculation that he was planning to recall the finance minister. Gordhan has been a vocal opponent of Zuma’s family friends, the Guptas, and was embroiled in three ongoing court cases with the family's companies. • Deputy Minister of Small Business Development, Ms Nomathemba November. Zuma got rid of Hanekom, who led the motion in November last year during a meeting of the ANC’s national executive committee (NEC) for Zuma to be recalled. But he did not fire other supporters of the motion: Thulas Nxesi, who becomes sport minister, and Health Minister Aaron Motsoaledi. Despite strong speculation that Zuma would rid his Cabinet of SACP members, Zuma saved Blade Nzimande (Higher Education), Rob Davies (Trade and Industry) and Ebrahim Patel (Economic Development). The ministers who lost their jobs are Gordhan, Lynne Brown (public enterprises), Dipuo Peters (transport), Tina Joemat-Pettersson (energy) and Ngoako Ramatlhodi (public service and administration). Both Gordhan and Brown were embroiled in litigation against the Gupta family. In a surprising move, Zuma did not take action against Bathabile Dlamini, the social development minister, following a scathing Constitutional Court judgment against her for her role in failing to find a new service provider to distribute social grants to 17 million beneficiaries. Zuma gave Nxesi (sport), Mbalula (police), Gigaba (finance), Nhleko (public works) and Muthambi (public service and administration) new portfolios. Zuma saved former communications minister Muthambi, despite harsh criticism by Parliament for her role in the crisis at the SABC. The SACP warned on Thursday that Zuma risked splitting the tripartite alliance if he went ahead with sacking Gordhan. The party was expected to call for an urgent meeting with the ANC following its Politburo meeting on Friday.